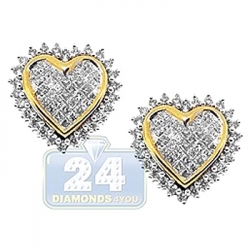 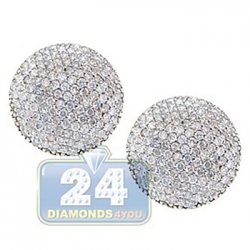 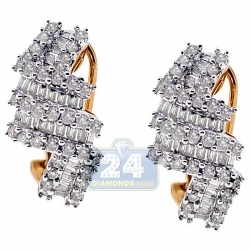 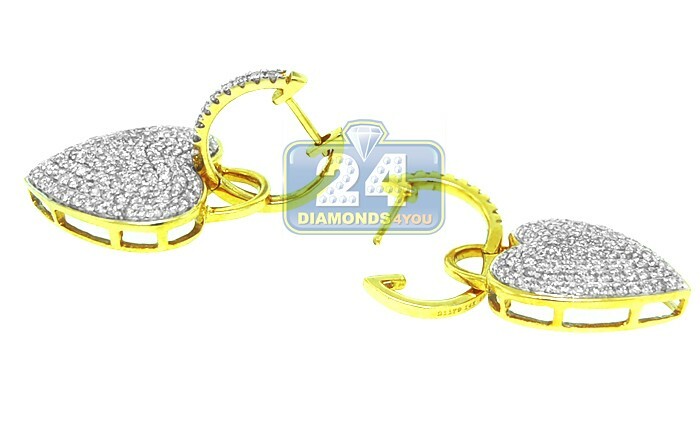 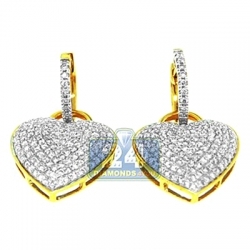 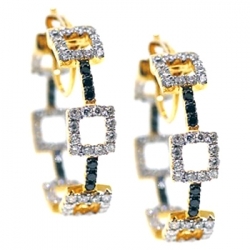 Get a very gentle look anytime you wear these sparkling diamond heart earrings! 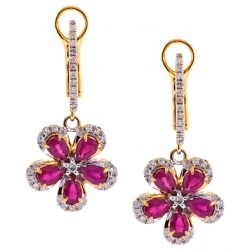 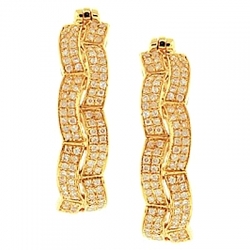 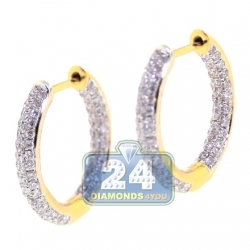 Artfully produced from warm 14 karat yellow gold, they're highly polished for ultra smooth finish. 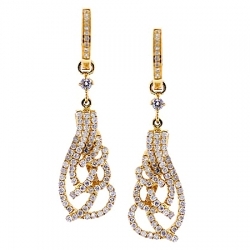 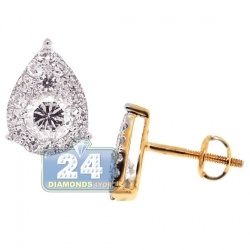 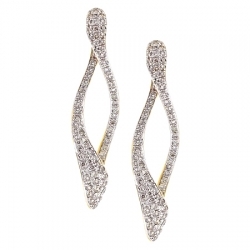 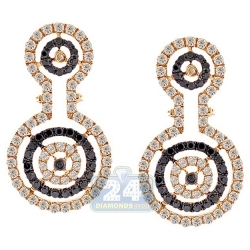 Our women's drop earrings are paved with icy white round brilliant-cut natural diamonds weighting 1.70 carat. 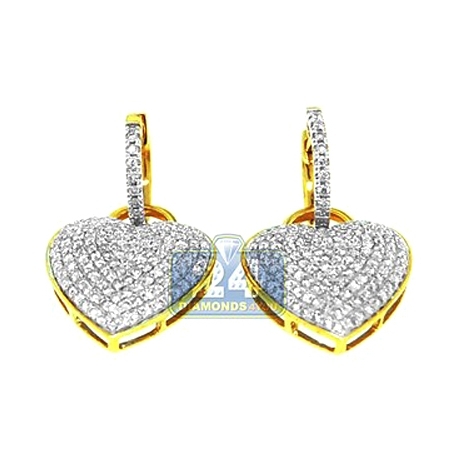 The pair has height of 32 mm and width of 18 mm. 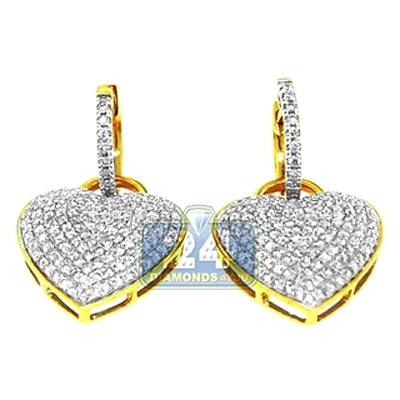 Amazing addition to your collection!